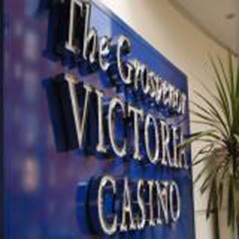 The 2013 Grosvenor UK Poker Tour (GUKPT) gets under way today with London's Victoria Casino the venue for a week-long festival. The side event action starts at 7.30pm today with a £100 NLHE freezeout with a two-day, £300 NLHE freezeout starting at the same time tomorrow. The action continues on Wednesday with a £200 NLHE Six-Max event at 7.30pm followed by a $150 PLO contest on Thursday. The side action draws to a close at the weekend with a £200 NLHE freezeout on Saturday and a £100 Bounty Booster on Sunday, both starting at 4pm. The serious business of course is the £1,000+£70 Main Event which features a guaranteed prize pool of £200,000. The first of two opening day flights starts at noon on Thursday with day 1B starting at the same time on Friday. Satellites are running at The Vic throughout the week. Robin Keston won last year's GUKPT London Main Event, pocketing £84,310 after outlasting a 315-runner field at The Vic.